We previously looked at the proliferation of race challenges and how they provide Casual Runners with new and exciting opportunities to set and achieve new fitness goals. If you missed that article, you can check it out now. Its ok, go ahead and read it, I’ll wait. All good now? Great. 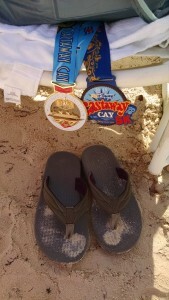 You will notice that we specifically identified runDisney race challenges as a big part of this trend. However, in hearing from our readers, there seems to be some confusion as to just how these challenges work and how you can fulfill them. So we decided to help everyone out by compiling this definitive guide to runDisney race challenges, so you have all of the information you need in one place. If there is anything that we missed or anything else that you would like to know, you can contact us by leaving a comment or email us using the links below. – the Castle to Château Race Challenge, which requires runners to complete half marathons at the Disneyland Paris Resort and, your choice of either Walt Disney World or Disneyland Resort, in the same calendar year. We may want to start brushing up on our French now! – The Star Wars Dark Side Challenge will take place during the newly created Star Wars Half Marathon Weekend in Walt Disney World, and will require runners to complete both the 10k and half marathon events during that weekend. – The Kessel Run Challenge, which, as you may be able to guess, is themed to Star Wars. You Much complete the Star Wars themed half marathons at both Disneyland (Star Wars Half Marathon) and the new Walt Disney World Star Wars Half Marathon weekend. – Solo Effort – All legs in each challenge must be completed by the same runner. So, if anyone tells you that you can complete these challenges as a “relay,” yeah, don’t listen to them. – Minimum Pacing – The key is to just finish. 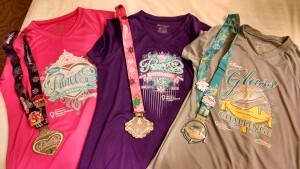 runDisney publishes a minimum pacing requirement for each race, however, do not get too hung up on that pacing requirement when it comes to challenges. 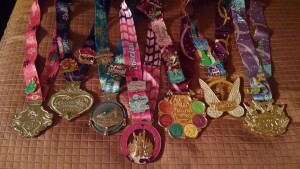 To officially “finish” a runDisney race, all you have to do is not get swept in any of the required races (the minimum pace is measured when the last runner crosses the starting line, so it is actually possible to officially finish a race with a time that is greater than the minimum pace requirement). If you finish all of the required races without getting swept, regardless of your final time, you will successfully complete the challenge. – The Swag – Where applicable, you will receive the event shirts for BOTH the challenge and the events that comprise the challenge. – The SMOs – When you finish, you will receive the medals for all of the races that you finish AND for the challenge itself. – Heads up! – Ok, here is where people make the biggest mistake. When you are at the runDisney event expo, do not leave without confirming that you have all of the information and procedures you need for completing the challenge. This may include a special bib denoting your entry in the challenge, having your photo taken to verify your participation, and/or maybe even a special wristband. runDisney has been tweaking this process in recent challenges, so just make sure you know what the rules are for your particular events and challenges prior to leaving the expo. You do not want to miss out on your rewards after having put in all of the effort. If you have any confusion or questions, just ask a runDisney cast member at the expo. – Training – Typically runDisney will publish on its website recommended training programs that are specific to challenges and that differ from the training plans for the individual races in order to account for the additional physical demands on challenge participants. Be sure to check these out and adapt your training program accordingly. – Register for the challenge – For the most part, you must register for the specific challenge at the time of race registration. 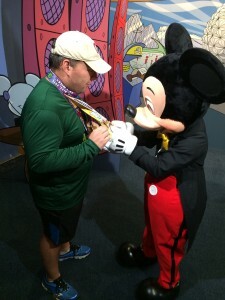 runDisney sets aside a specific number of entries for challenges, which include entries into the respective races. These fill up fast and once they are gone, so is your opportunity to participate in the challenge. Keep in mind that, even if you sign up for and finish every race that comprises a challenge, you will not be awarded the challenge medal unless you registered for the challenge itself. The exceptions to this “rule” are the Coast to Coast Challenges and Castle to Château Race Challenge. 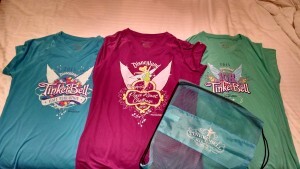 For these, you need to notify runDisney that you are attempting the challenge prior to completing the challenge. Even though you should have an opportunity to do so during registration, you do not have to register for your individual races as a part of the challenge itself. – Only 1 per customer – Generally, You are only able to earn one Coast to Coast Challenge in a given calendar year, even if you were run 2 or more half marathons in both Disneyland and Walt Disney World in the same calendar year. The exception to this is if you earn the pink Coast to Coast Challenge, you may also earn the “classic” Coast to Coast challenge in the same year by completing an additional half marathon at each resort in the same calendar year. One last thing. If you have any questions regarding registering for runDisney races and challenges, you can check out Jennifer’s article filled with tips and tricks. Ok, that should about do it. If you have any more questions or if you think we missed anything, please let us know.